In Flanders, rabbit is cooked slowly in beer with dried prunes added towards the end, to make a lovely stew full of flavour. 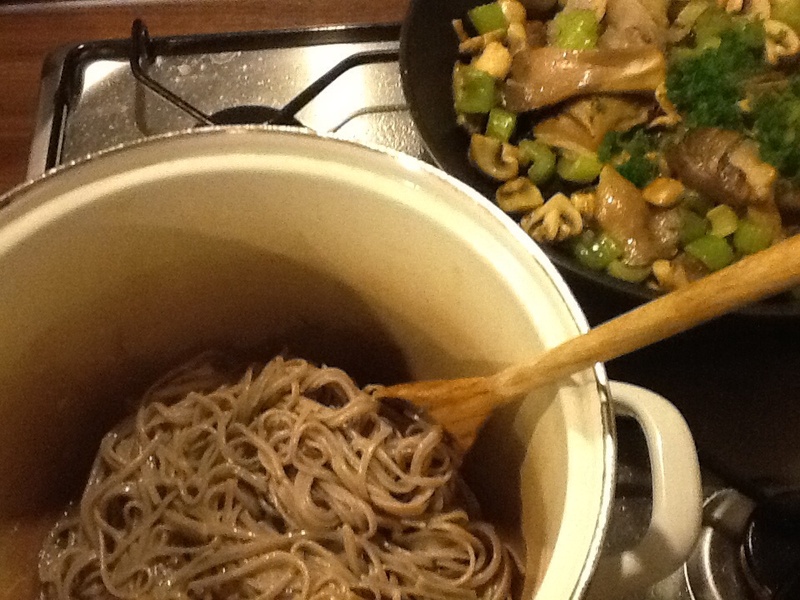 It is a festive dish that we often have on Christmas eve or on Sundays with family. Since going grain free, beer is no longer an option. Wine is a good substitute but we would normally go for red wine. This recipe however, calls for a more southern flavour that pairs well with celery, olives and capers. White wine! Apparently, this way of cooking rabbit is in vogue on the island of Malta. You need only a few ingredients and an hour or so of cooking time. I bought – or rather Gert bought – a big rabbit, so the dish lasted us two days. I used one big pot for the rabbit, and another for the vegetables. They were combined for stewing with the wine in both pots later on. Chop onions, carrots, leek and celery. 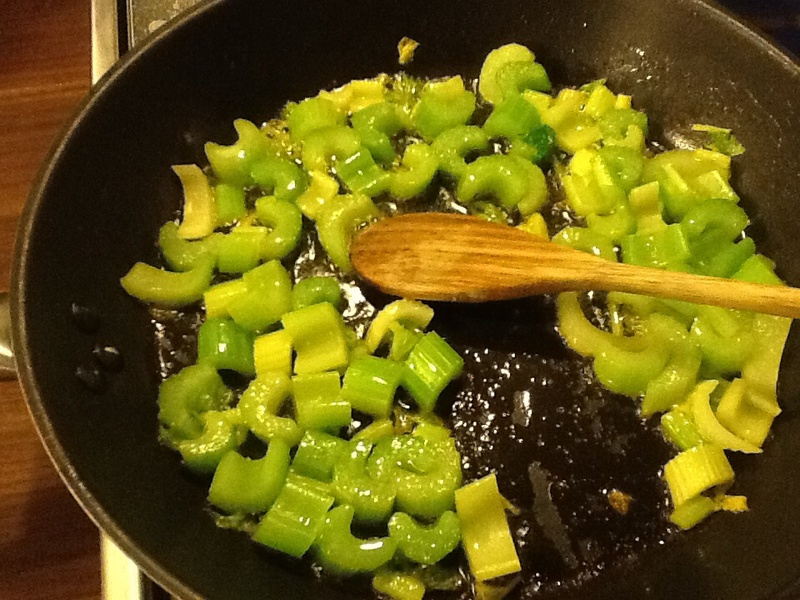 Fry onions first, then add leek, celery and carrots, and finally garlic, capers and bay leaf. Season well. Brown rabbit on all sides. 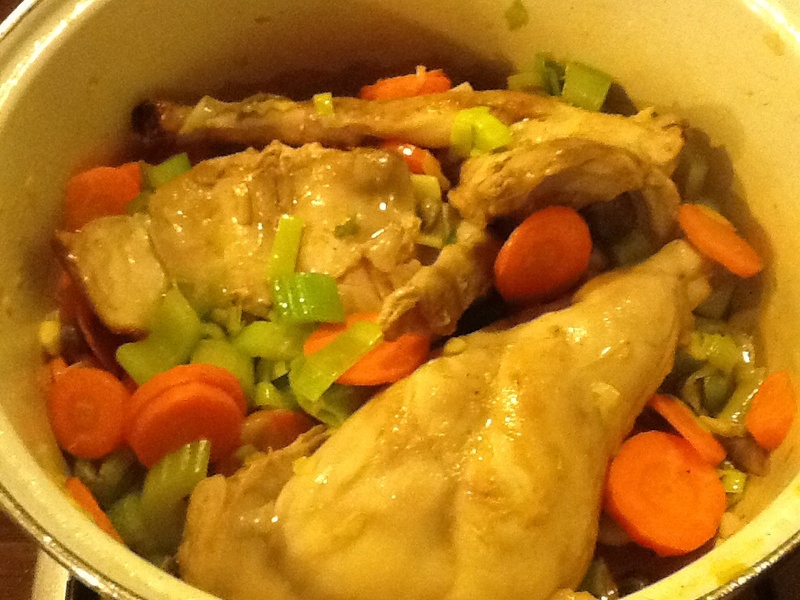 Simmer rabbit with vegetables and bay leaf in white wine. 1 big rabbit, in pieces. I used the liver as well. a few stalks of celery and a few stalks of leek, chopped. 1 big onion or two small ones. bay leaf (and fresh rosemary if you have it, I didn’t). A few spoonfuls of apple cider vinegar or wine vinegar. Prepare your vegetables. 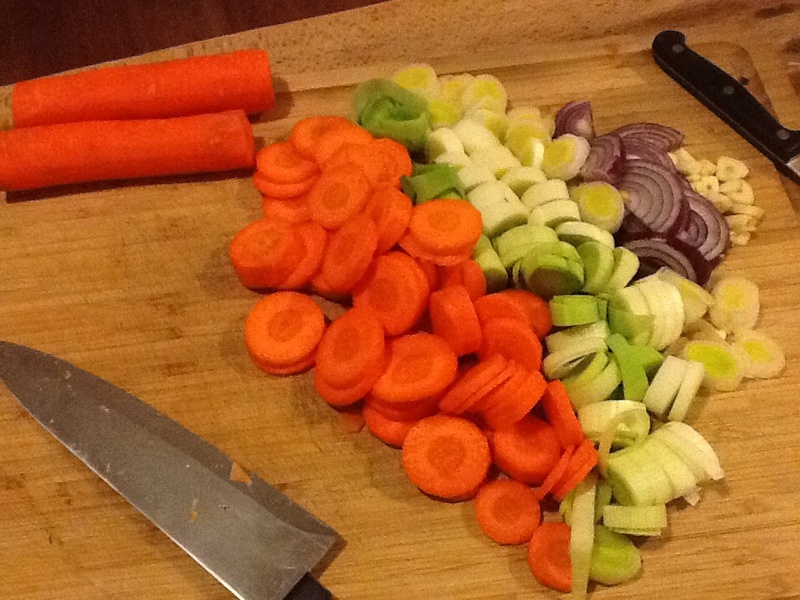 Chop garlic, onion, celery and carrots. Brown the rabbit pieces on all sides in olive oil. Go slow but brown them thoroughly. Season well with salt and black pepper. 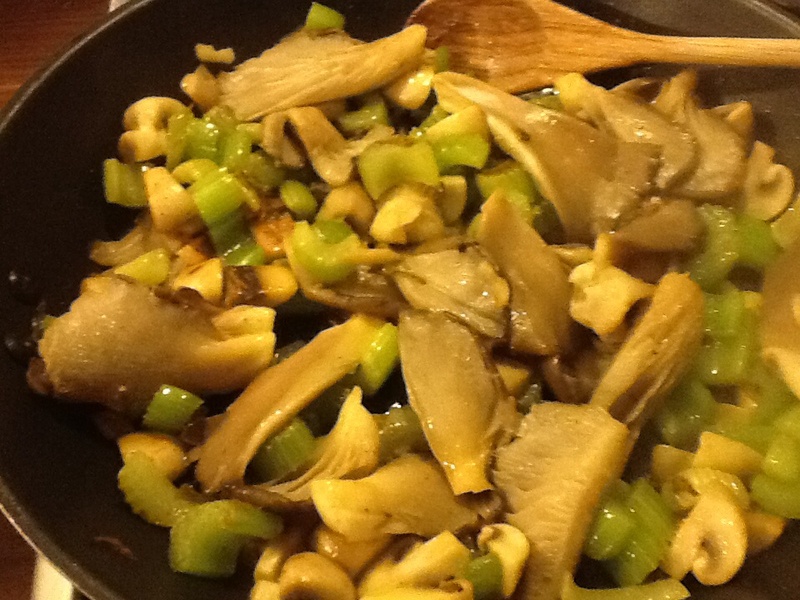 When they are browned, throw in a few spoonfuls of apple cider vinegar or wine vinegar and let it rest a little. In another pot, fry onions in olive oil until they are translucent. 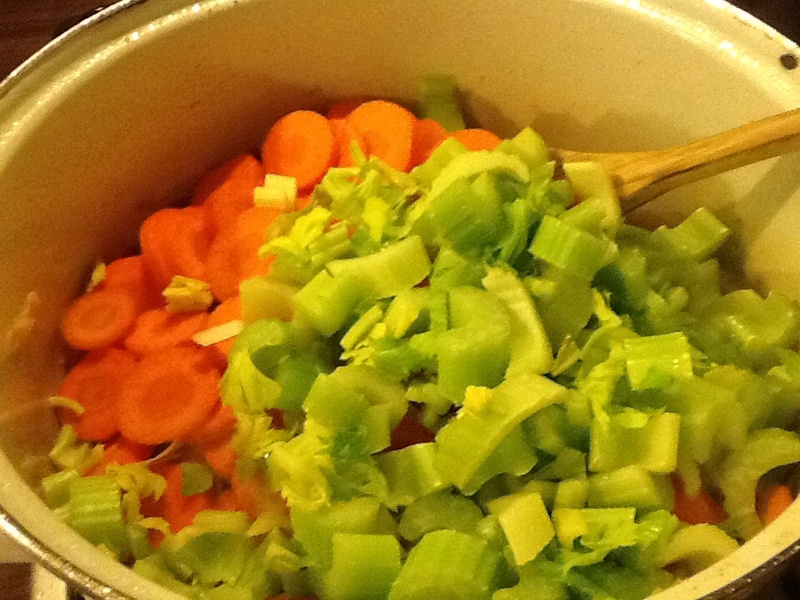 Add carrots, leek, celery and garlic and let simmer for ten minutes or so. Season with salt and pepper. Towards the end, add the olives and / or the capers and the bay leaf and rosemary. 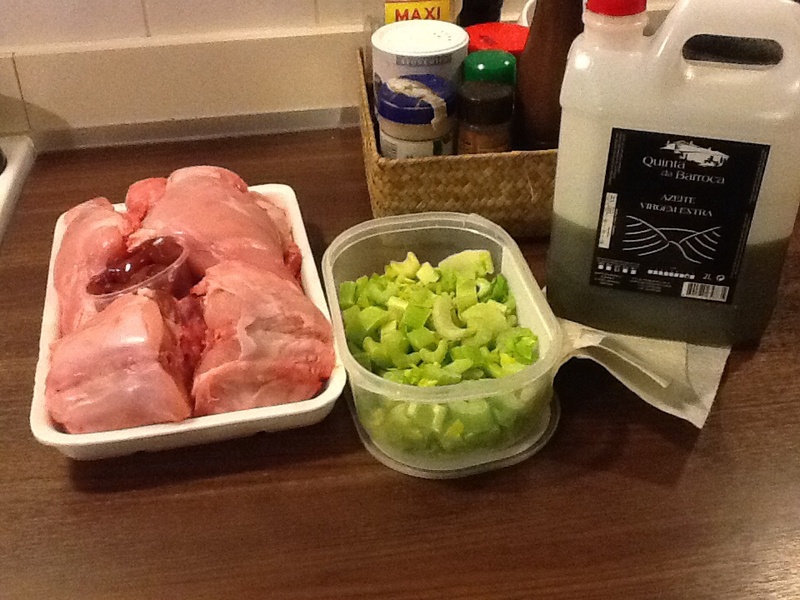 Arrange your rabbit pieces and vegetables together, pour the white wine over it until your stew is half submerged. Cook for an hour or longer, on low heat and under the lid. When the meat falls of the bones, your dish is ready to serve. 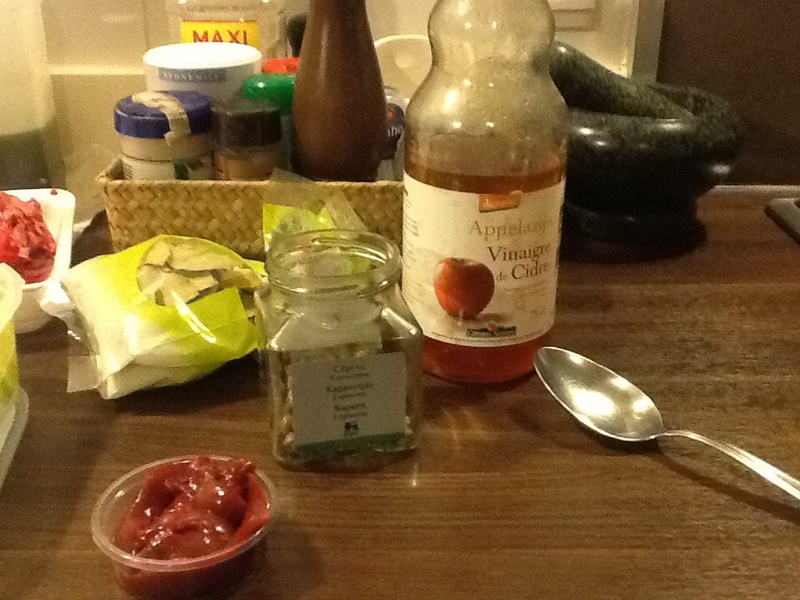 This entry was posted in Dinner and tagged Apple cider vinegar, Carrots, celery, Rabbit, white wine on 9 February 2015 by rebeccaverreth. 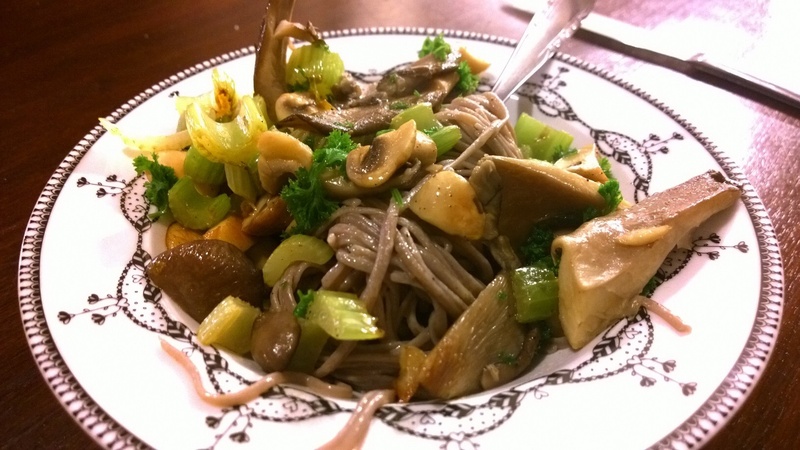 Very quick, surprisingly cheap and fingerlickin’ good, that’s how I want my everyday soft paleo dinners to be. Made from scratch with a few simple ingredients. 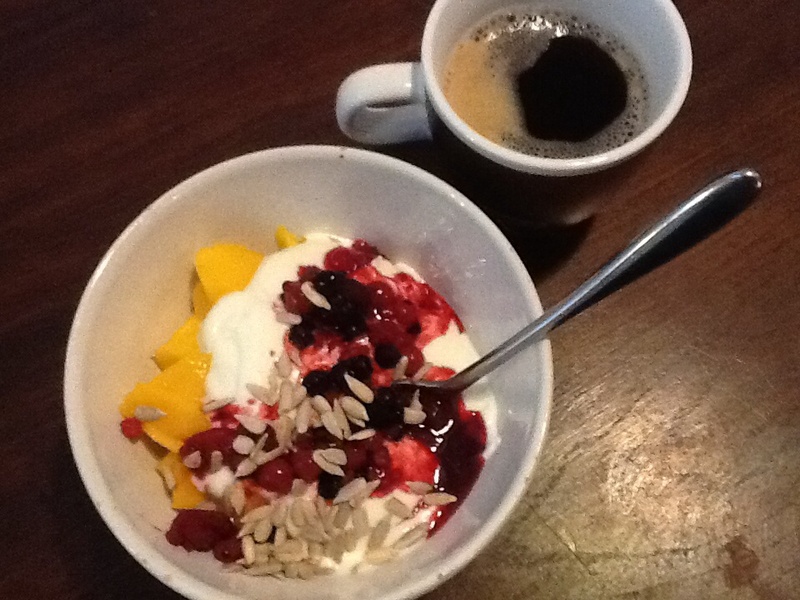 And healthy to boot! This dish fits the bill. It’s so easy and fast to whip up, no recipe needed! All you need for two are two small plaice, asparagus and butter. The salmon eggs are of course totally optional. It would work well with capers or nothing at all as well. 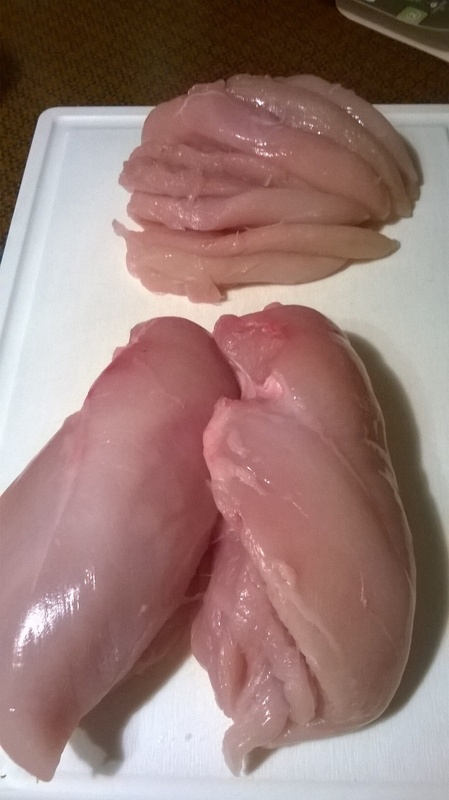 I bought the plaice whole, and cleaned and trimmed them myself. But you could easily buy them prepared to save time. I adore white asparagus, a real delicacy and wonderful steamed or cooked, and served with melted butter and crumbled hard boiled eggs (hey, it’s the perfect ketogenic dish!). But they are not in season. Hence the green asparagus. The convenient part is that green ones do not need to be peeled and are still delicious. Salmon eggs add some colour, saltiness and crunch to the dish, but also iodine, vitamin D and omega 3. I found them in our small Match supermarket, in a little container with no preservatives or additives bar salt. Nice! As many asparagus (asparagi?) as you can stomach. Cook the asparagus in boiling water with salt. This takes around 15 minutes. You need the asparagus to be tender yet still crisp. Although some people enjoy them when they are very tender. Adjust for taste. When they are done, season them with a dollop of butter, salt and pepper. Yes, by all means get your butter out for both the asparagus and the plaice. As the saying goes here: “fish needs to swim”. Brown the butter in a skillet over high heat and add the plaice. Flip them over after around 5 minutes of frying, fry the other side for about 2 minutes and they are done. Arrange on a plate, garnish with salmon eggs and enjoy! 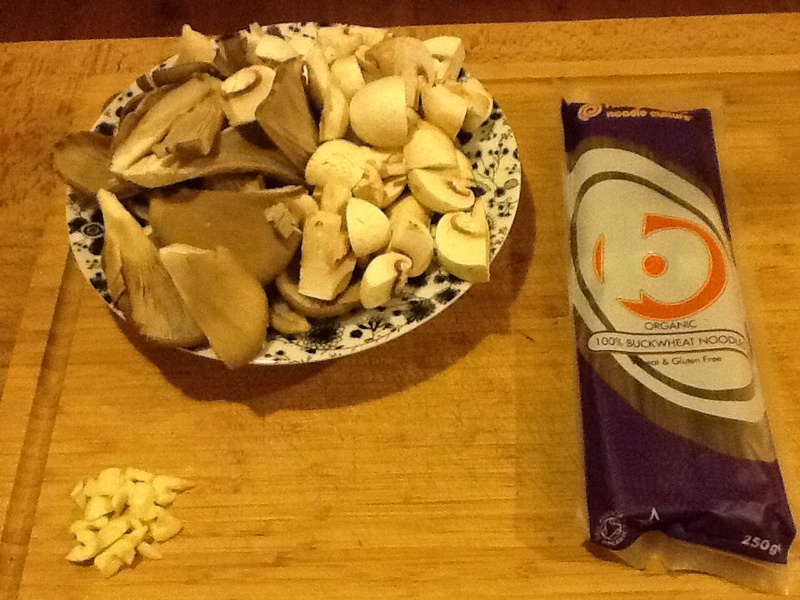 This entry was posted in Dinner and tagged green asparagus, Plaice, salmon eggs on 2 February 2015 by rebeccaverreth. Children usually love chicken. When it is cooked the way they are used to, i.e. Plain. 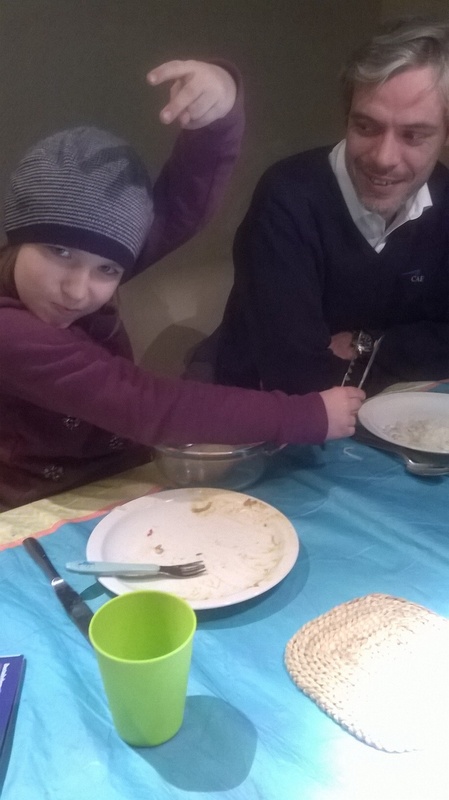 How to get them to eat chicken prepared in unfamiliar ways is always a challenge. 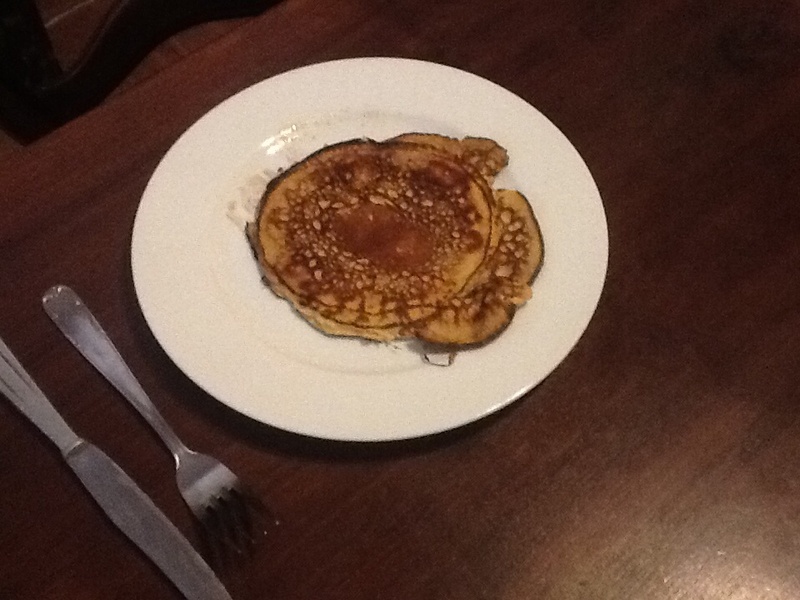 I do know that Zoe, Ella and Kato are not averse to coconut milk, and they like vegetables when they are recognizable. 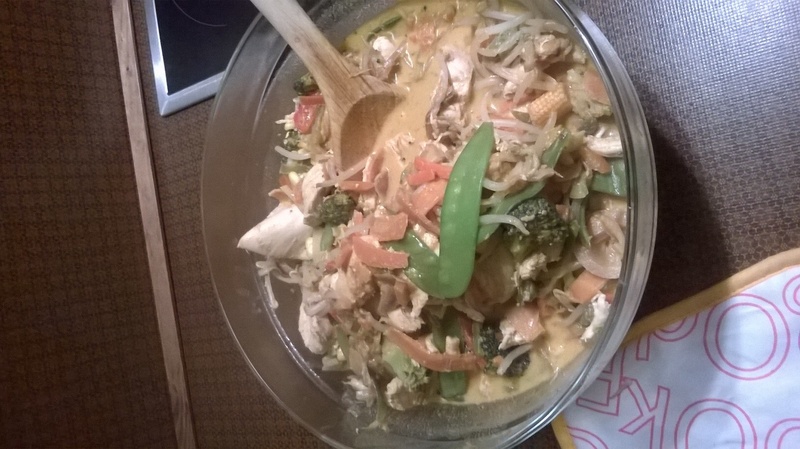 So on Monday, I made them a dish with chicken and precut wok vegetables, with some very recognizable chunks of broccoli thrown into the mix, baked in red curry and simmered in coconut milk. I served the chicken curry with rice noodles and hoped for the best. 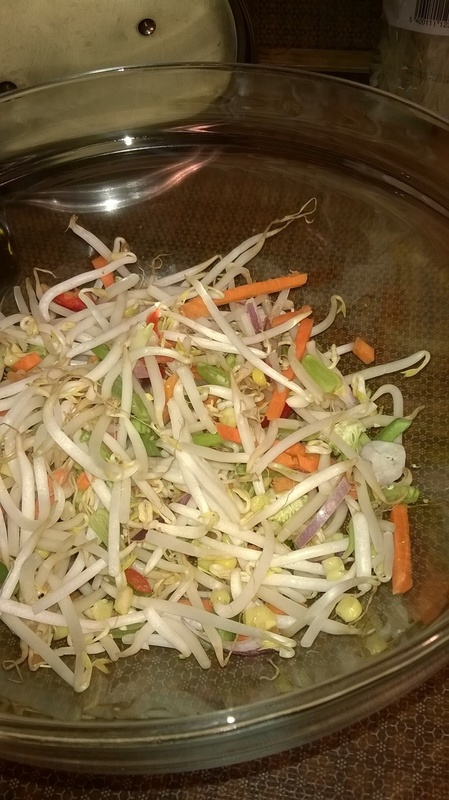 Precut wok vegetables like broccoli, carrots, red and green peppers, bamboo shoots, corn, onion rings, sugar snaps…. Around 800 grams. 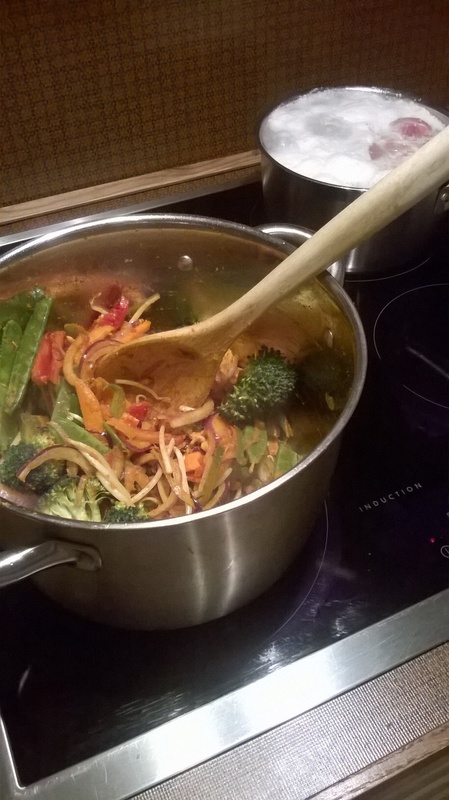 Red curry, a small jar. 2 cans of coconut milk, 600 ml. 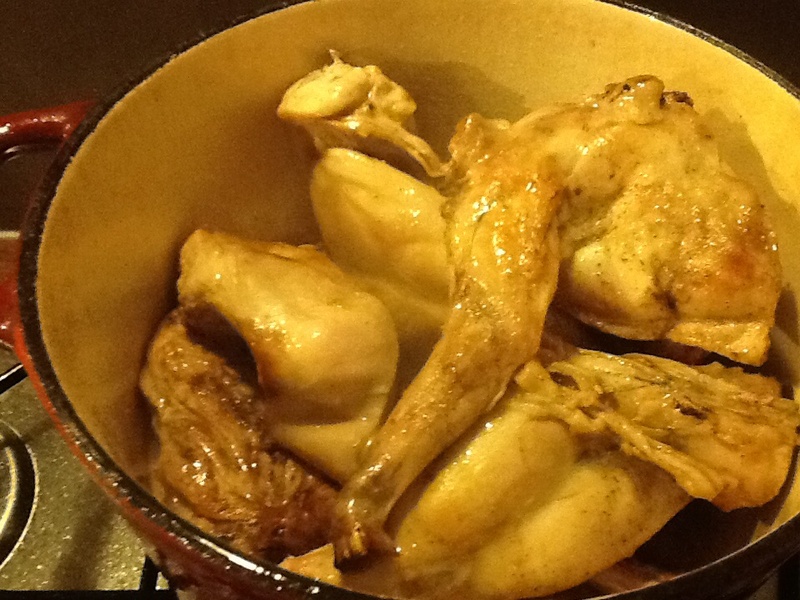 I cut the chicken into smaller pieces, long strips actually, and submerged them in a pot of boiling water. While the chicken was cooking, I separated the more chunky vegetables (mainly peppers, broccoli and onion rings) from the bits that needed less cooking time, like bamboo shoots, and fried them in olive oil and two spoonfuls of the red curry paste. After frying the bigger chunks of vegetables for a while, the chicken was ready to be added to the pan. 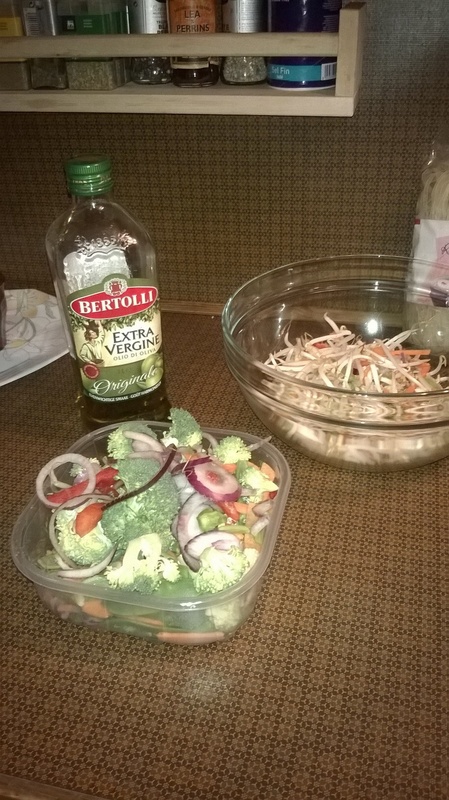 Next to go in: the cocononut milk and the rest of the vegetables (bamboo shoots, corn, sugar snaps, carrot strips…). Simmer for a while… And it’s done. 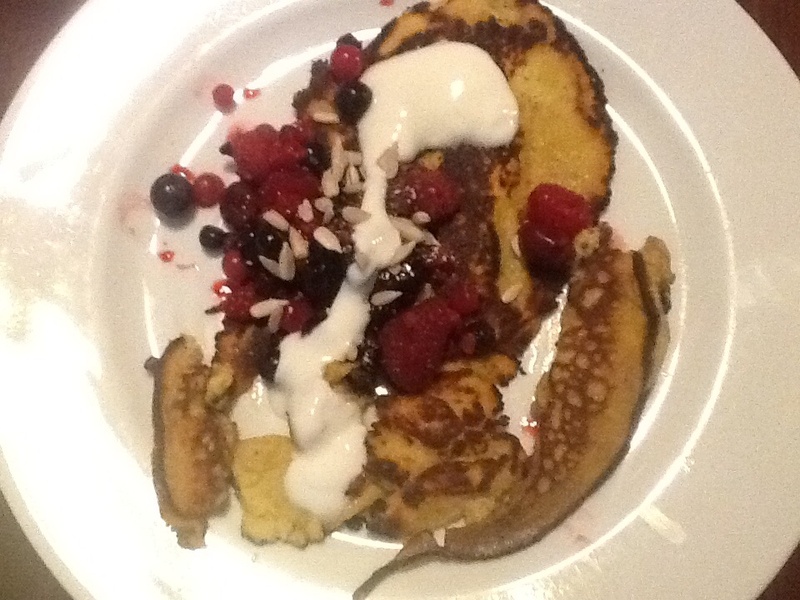 The children liked it and ate quite a lot of it, I’m happy to report. Red chicken curry in a glass serving bowl, ready! 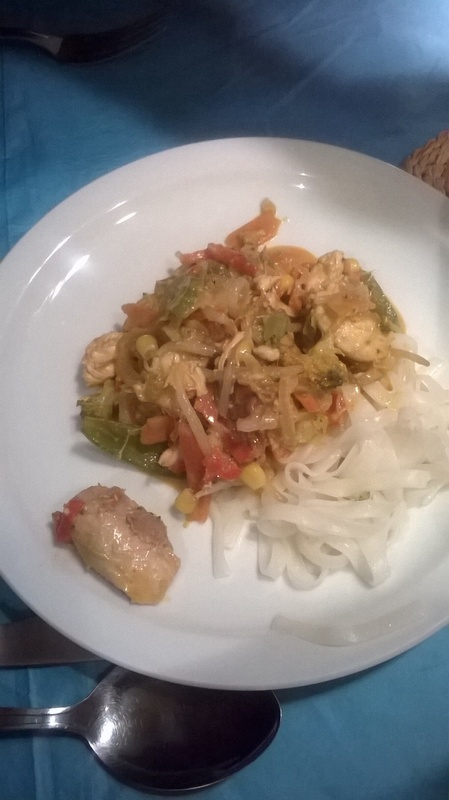 This entry was posted in Dinner and tagged Chicken, coconut milk on 2 February 2015 by rebeccaverreth.